On Sunday evening, I was finally able to put down my Kindle, having completed Cutting for Stone by Abraham Verghese. It was a beautiful read, though I think the editor could have been a bit more heavy-handed. Set in Addis Ababa, the arc follows two boys–orphaned twins–who are growing up under the parentage of two physicians in a local hospital. Verghese writes about Ethiopia with a loving hand, and it was fitting that the night after finishing the book, I had a few friends join me for an Ethiopian dinner in the U Street neighborhood of DC. DC is literally awash with Ethiopian cuisine, and you’ll find loyal followers of almost any of the local Ethiopian restaurants. 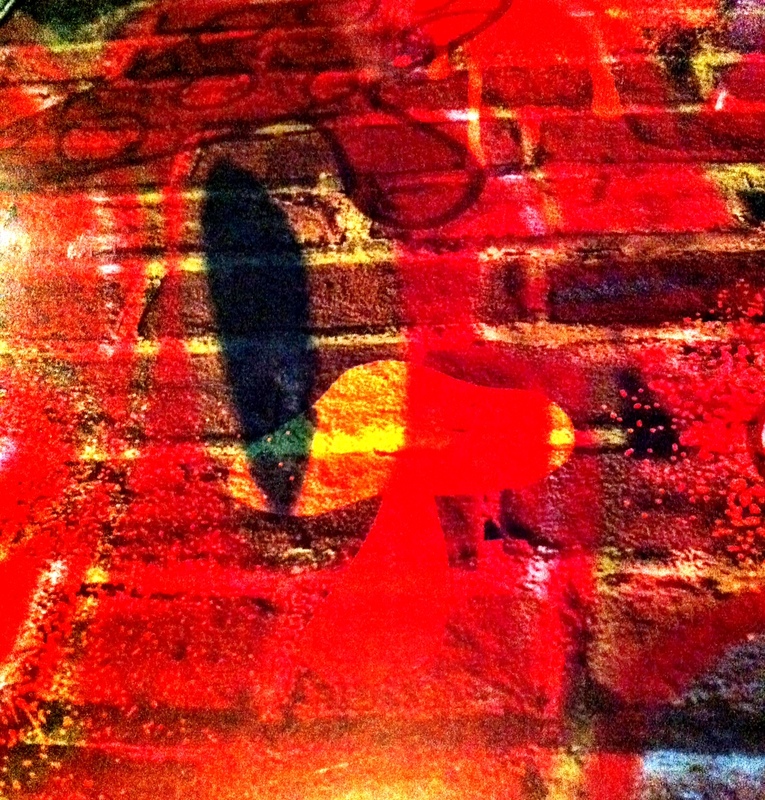 Our choice for the evening was Etete, an intimate spot slightly sequestered from the vibrant U Street scene. 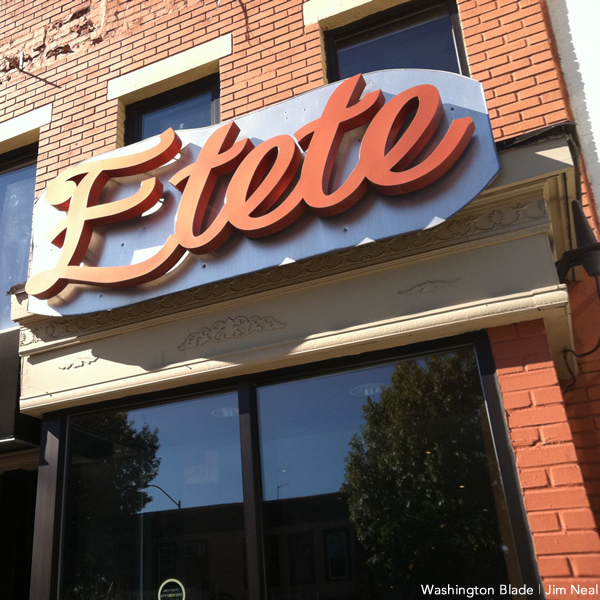 Along with Ethiopic on H Street (another fantastic spot, and one I frequented often when I lived closeby), Etete is held in high regard amongst local food critics. The Washingtonian has consistently rated it highly over the past few years, and even on a Monday night, it was a lively and bustling place to eat. Although I have eaten Ethiopian food on a number of previous occasions, I wanted to make sure that I voiced my food allergy concerns before ordering, both for my benefit and for that of one of my dining companions who happened to have a tree nut allergy to complement my peanut allergy. I’ll say now that if you have a nut allergy, and haven’t yet tried Ethiopian food, you must go at once! There are no nuts on the menu, period. As for corn, not a chance. Soy? All set. That said, I would like to offer a word of caution for those with serious food allergies. When we tried communicating the allergies to our server, it took about five minutes of pointing, exaggerated enunciation and repetition to make sure it had sunk in. The language barrier, particularly for our server, was quite strong, and it was difficult to ensure that she understood the severity of the issue. It was only because there were no nuts listed on the menu, and the fact that I had eaten there safely in the past that we felt comfortable in ordering. 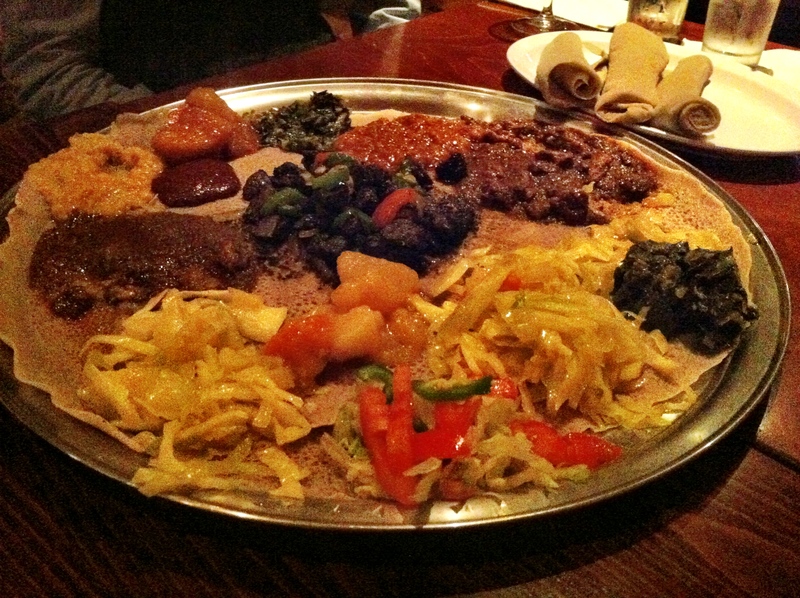 It’s always a bit of a guessing game for Ethiopian portions, especially when you’re with a group. Our group of four ended up ordering a vegetarian platter and added Yebeg Wat (a lamb dish with crushed red pepper and special butter sauce), Derek Tibs (beef sautéed until crisp in onion, chili, tomato) and Tekil Gomen (fresh cabbage and carrot cooked in oil with onion, fresh garlic, jalapeno). Each pile of food had a unique, tangy and spicy flavor which bled into the injera “plate.” For the uninitiated among you, you might be surprised to hear that Ethiopian food is never eaten with utensils; instead, everything is scooped up by hand with the injera, a spongy pancake-type bread that is served with every dish. I was a bit miffed to find that Etete’s injera is served cool or at room temperature; I prefer mine to be served warm. I discovered tonight, as I had hoped, that the grain injera is made from, tef, is actually gluten-free! 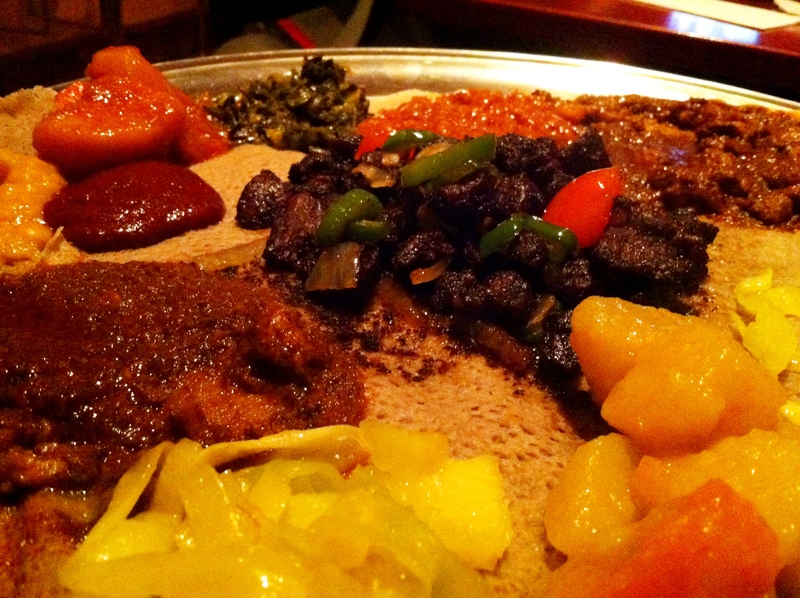 Apart from language barrier issues, Ethiopian food can be a fantastic option for people with restricted diets. Vegetarians would rejoice here, as about 1/3 of the extensive menu is all vegetarian. Gluten-free or people with celiac could enjoy the injera without worry, and there are very few dairy products to be found, so casein allergies or lactose intolerance would also be easy to handle! 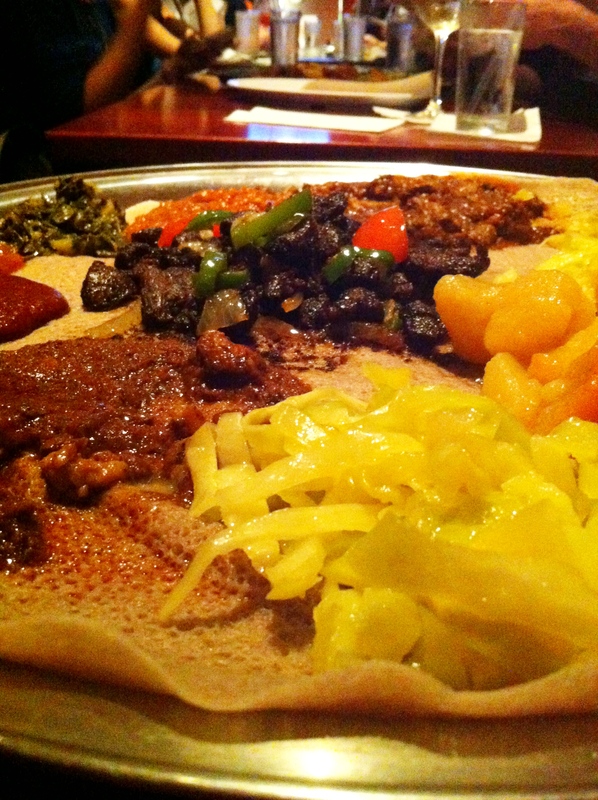 While I love the food at Ethiopic, I do not love the service. Walking in, I found the two head waitresses squatting on the staircase engaged in intense conversation. It took a moment for them to acknowledge me, and it was with great annoyance that they paused their gab to seat me and bring me a glass of tea. The food definitely makes up for the less-than-ideal customer service though, and I would gladly go back anytime. Be careful of Etete’s signature honey wine though. Unless you truly enjoy apple cider vinegar, this might not be the right drink for you. (Un)fortunately, the arrival of our last dining companion and subsequent swaying of the table meant that the honey wine, in all its cloudy yellow glory, was sacrificed to the floor. A little less mellow, a little more mushroom. We needed to salvage the evening. Four girlfriends out at a DC event, bored out of our skulls by the ramblings of uninvited, awkward, and oblivious boys. We were in danger of drowning our frustration with the overpriced drinks on happy hour, and then where would we be? Nowhere good. But the solution dawned on me. Pizza. What could be better than pizza to sate our appetites and regain some faith in mankind? 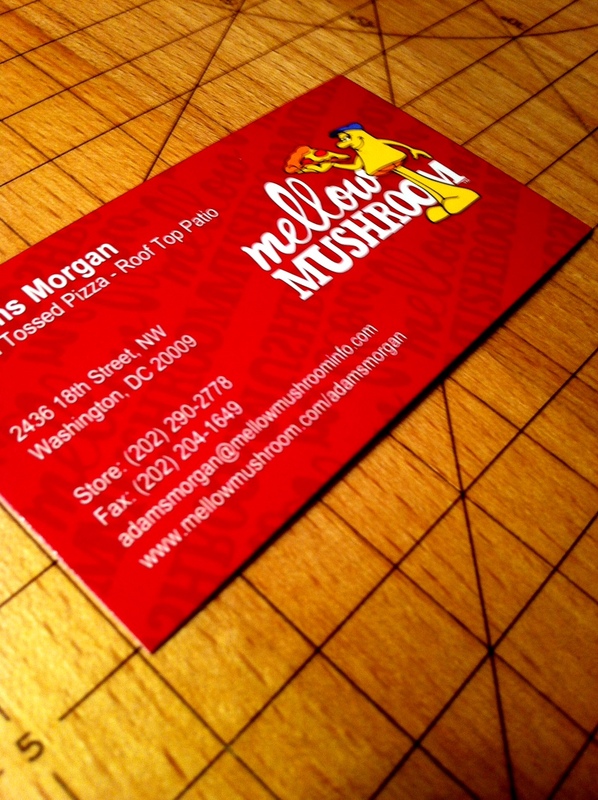 As three out of the four of us are Adam’s Morgan girls, we headed out to Mellow Mushroom. As we were handed our menus, the mood couldn’t have been cheerier. We were seated in a gigantic booth (the better to hold the friends and roommates that arrived later), the beer list was pretty exceptional, and we were free of horror that is the club happy hour scene. 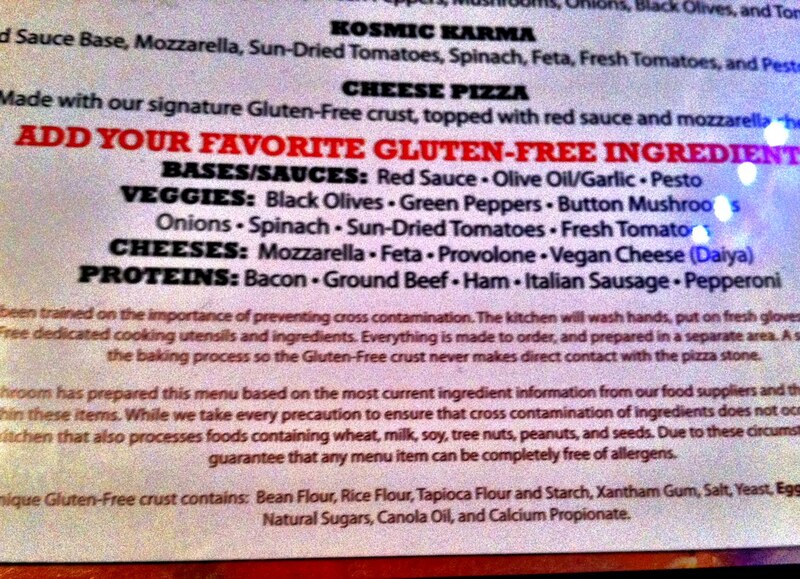 The elation only grew when I glimpsed the specially-inset menu that described the gluten-free pizza, including the full ingredient list of the gluten-free dough. Although I have no need to order gluten-free, those with an allergy to wheat or suffer from Celiac disease would definitely benefit! Alas, I did not fare so well. After giving warning of my serious peanut allergy (no problem there! ), I also indicated to our waitress that I have an intolerance of corn. Unfortunately, some chefs use a cornmeal dusting on the bottom of pizza dough to prevent it from sticking to the pizza stone or oven. Aware of that tendency, I asked the waitress to check whether the restaurant did this as well. She came back with an unsympathetic, “Sorry, yeah…we, like,…use corn.” Despite my ensuing questions about the feasibility of removing the cornmeal, she was unyielding. Her three trips to the kitchen (by my insistence) did nothing to change the answer. It was in the dough, or something, apparently. Never did I receive a satisfactory answer about why they couldn’t make an exception. However, by this point, my intolerance was becoming a major hindrance to my other dining companions’ enjoyment. I backed down. 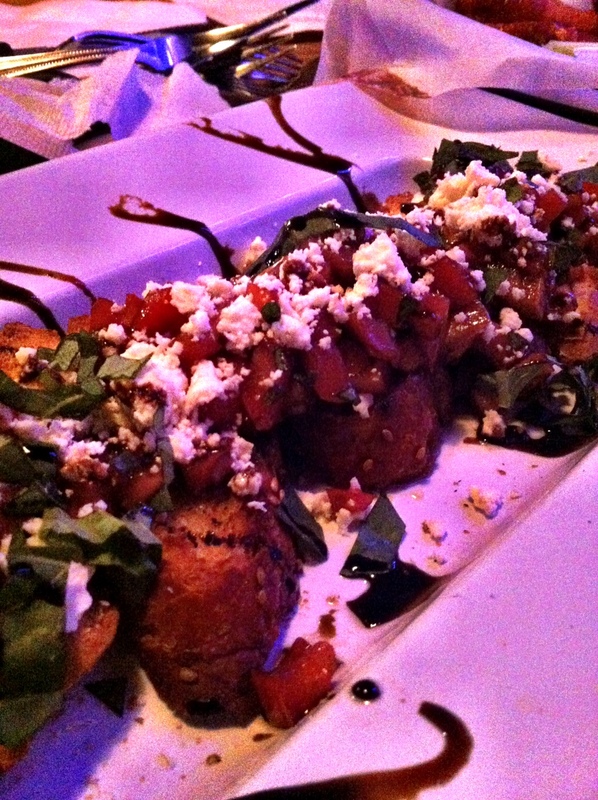 And I ordered two appetizers to serve as my meal: the bruschetta and the chicken wings. That’s almost like buffalo chicken pizza, right? Wrong. After chatting with my group for about 10 minutes, what comes out of the kitchen but my two appetizers?! She sets them before me, and before I could make a peep, she whisks away. OK, now, everyone, listen up. If a person orders two appetizers to serve as their meal, do NOT serve them the appetizers before everyone else gets their food. Eating in front of one’s friends is uncomfortable and downright rude. Got it? Good. Here’s the most unendurable part: the food itself was pretty terrible. The bruschetta was topped with some lovely fresh tomatoes, but they were literally drowned by the sickly sweet balsamic vinegar. The toast was stale (even all that vinegar couldn’t penetrate it) and tasted mostly of cardboard. The wings were worse: soggy, lukewarm and pitifully mild. The best thing about that dish was the celery. You can’t mess that up too badly, I suppose. If it weren’t for the peach-infused beer that sustained me until the end of the meal, it would have been a complete disaster. Not only were they completely inflexible about their kitchen practices, but they did not volunteer any information that would have helped me make a better decision about what to eat, or offer any sincere apologies. Unfortunately, instead of regaining my faith in mankind, I lost just a little bit more of it. Ok, I admit – that’s a little dramatic. 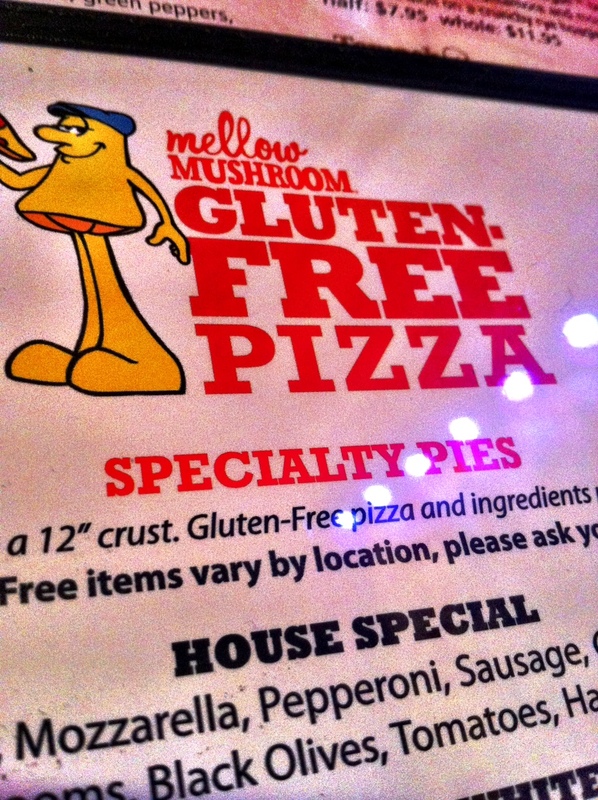 So, to end on a more positive note… Yesterday, I did a bit more digging on Mellow Mushroom, and found that their attitude towards food allergies is relatively progressive. Similar to many national chains, Mellow Mushroom maintains a special allergy grid that documents each dish, and what potential allergens (of the big eight) it contains. You can find that here, but I would still do your due diligence with your waiter, and explain the dangers of cross contamination.